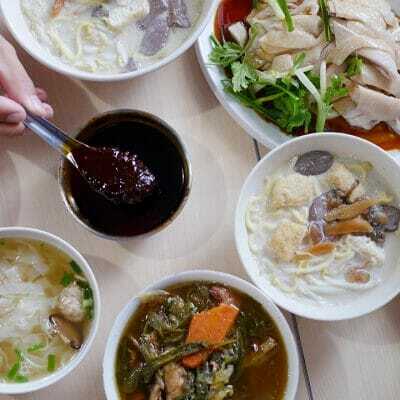 Kepong isn’t a place I venture into often – it’s always been the usual suspects of roast duck and yong tau fu, which I’ve been patronising over the last few years. 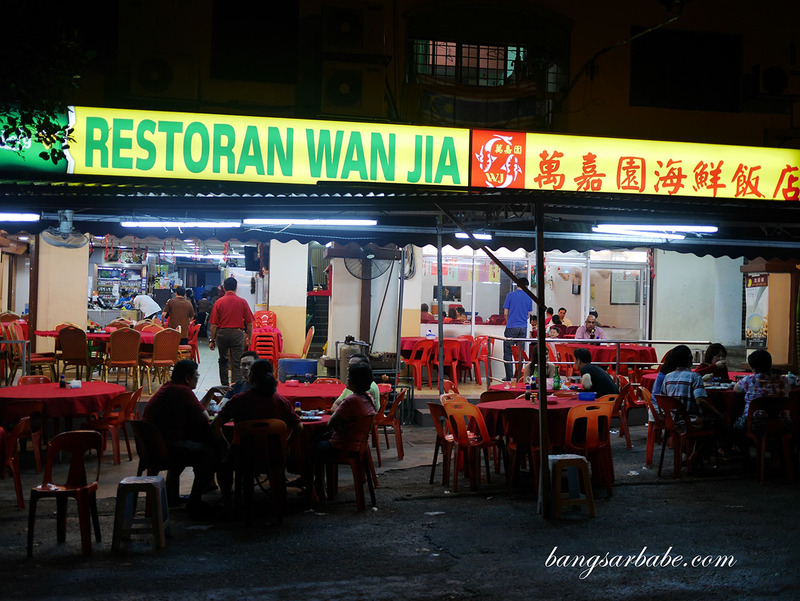 I recently visited Wan Jia Restaurant for dinner and found the food decent. Was there twice in the past month – one with a friend and the other, with family. Despite the restaurant size, Wan Jia is packed come dinner-time so it’s best to call ahead to reserve a table if you’re dining in a large group. Otherwise, they also have tables outside the restaurant if you don’t mind eating al-fresco. The fish lip soup (approx. 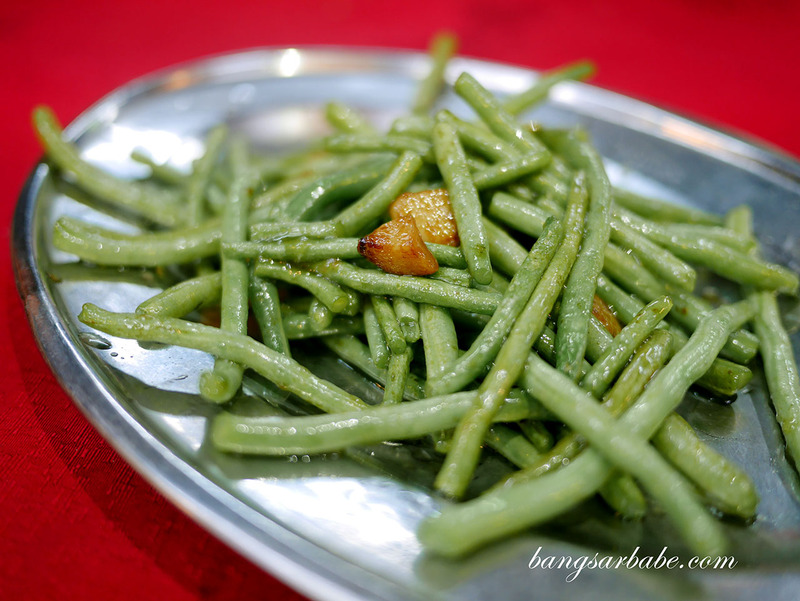 RM80) was ordered by my friend who dined with us. 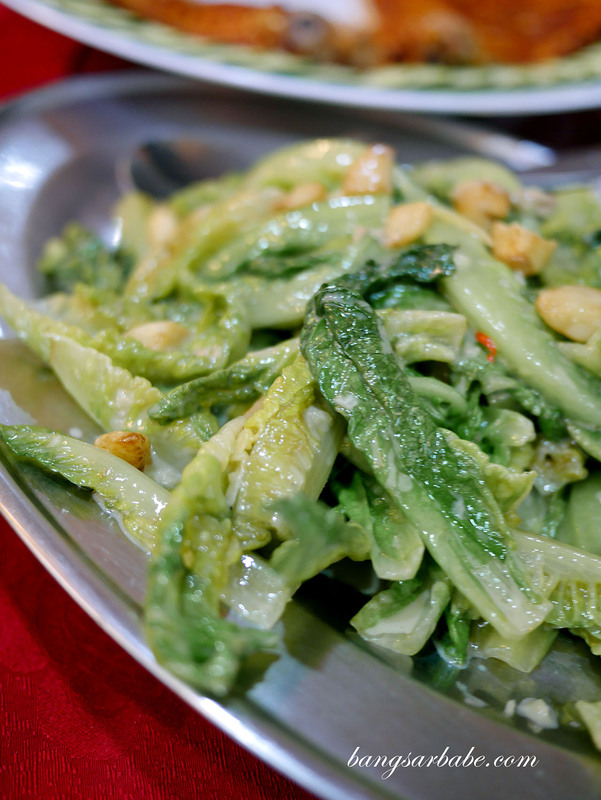 According to him, it was one of Wan Jia’s specialty dishes and not many customers knew about it. 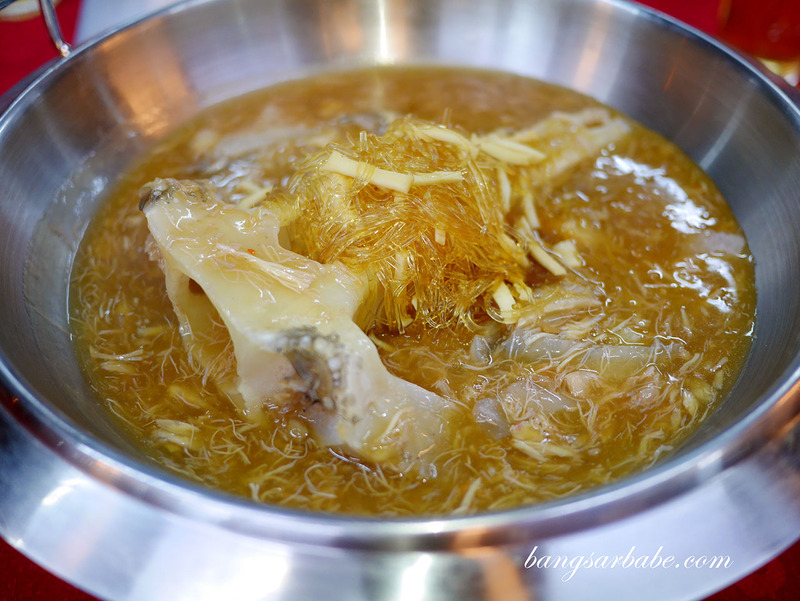 This had a similar texture to sharks fin soup, but fish lips are used. 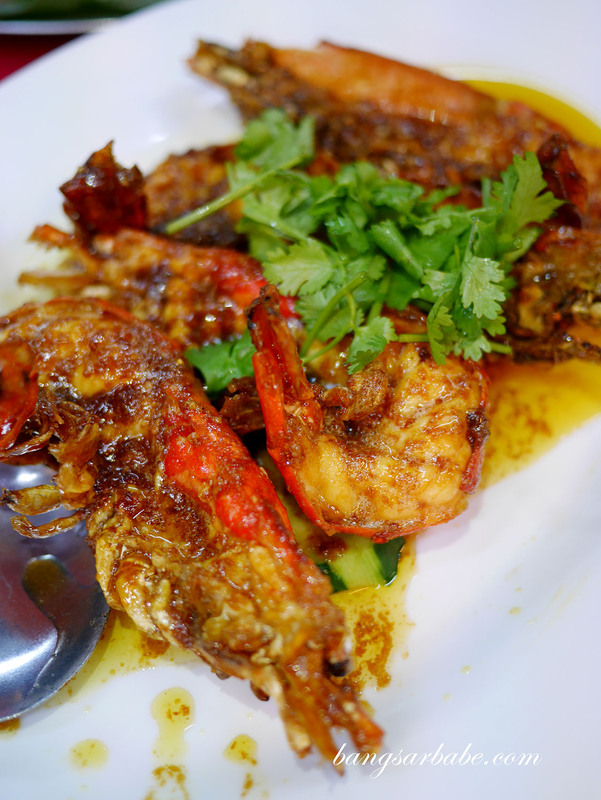 I rather enjoyed the river prawns, cooked with what tasted like a combination of dried shrimp, shallots and chilli. 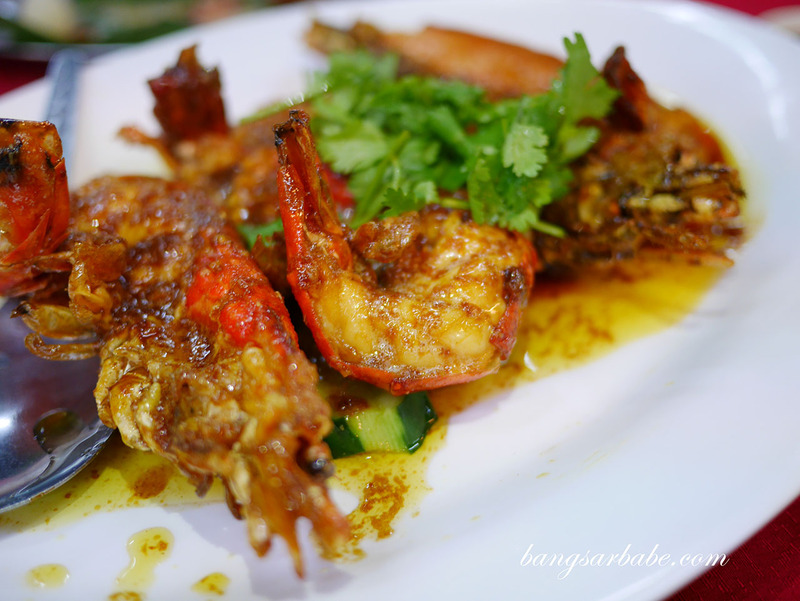 Prawns were relatively large, fresh and succulent. I liked how the head had plenty of roe, which gave the prawns a richer flavour. 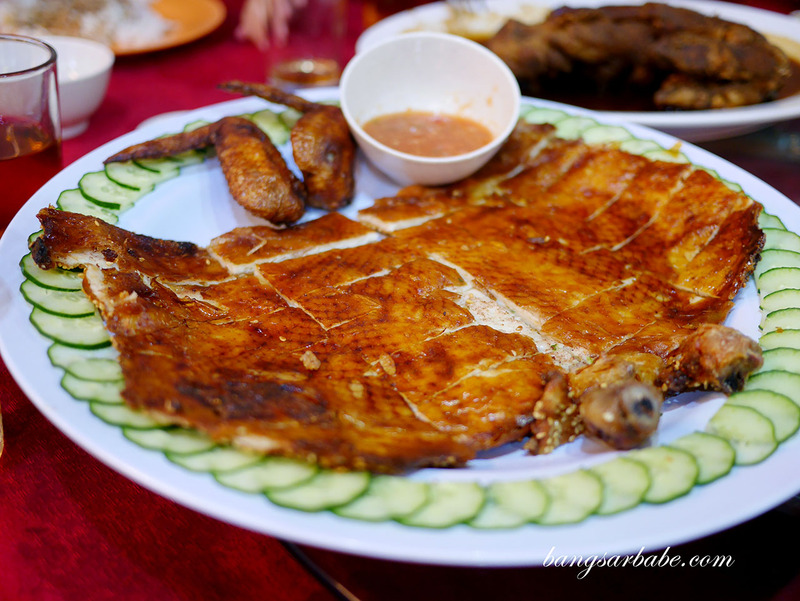 Try the house special pork ribs – I don’t know what it’s called in English but they would usually ask you if you want the standard marmite pork ribs or this one. 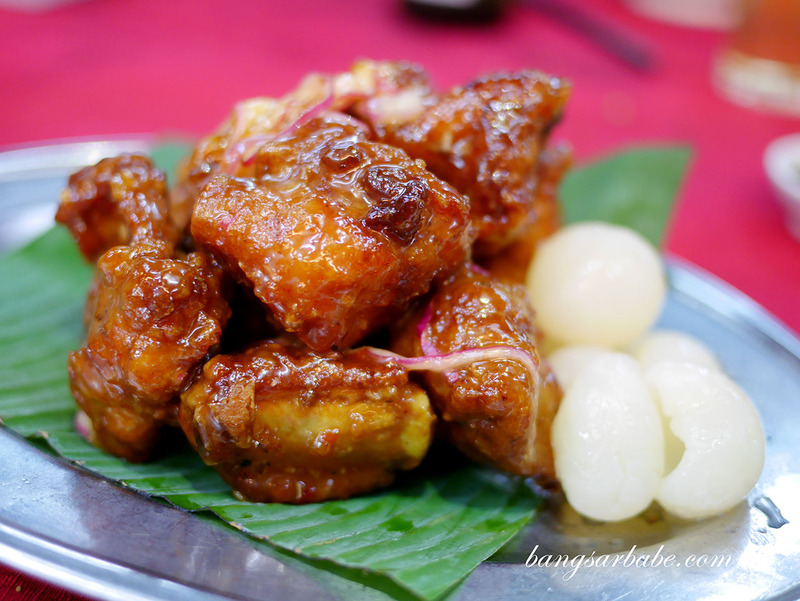 I suggest you go for this instead, as it has an interesting tangy-sweet flavour that complements the pork. 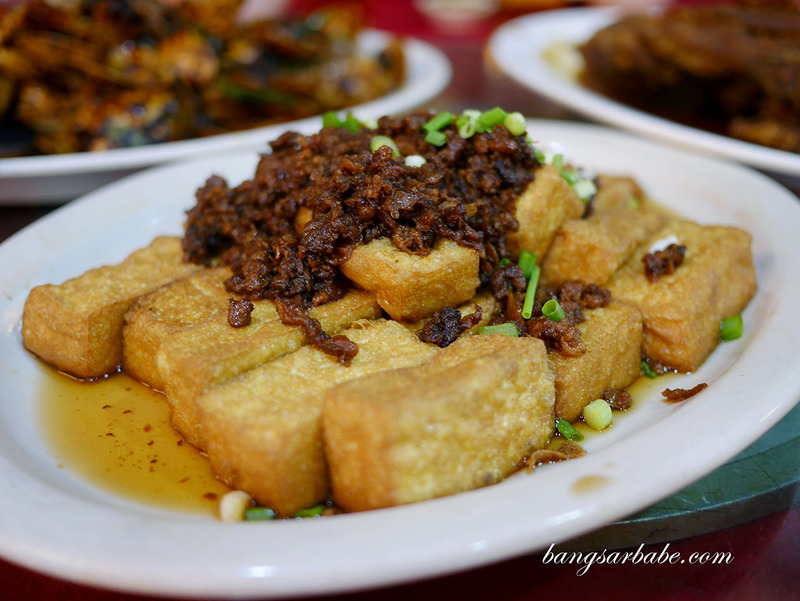 The homemade tofu with abalone came highly recommended by the manager, and I thought it was good stuff. 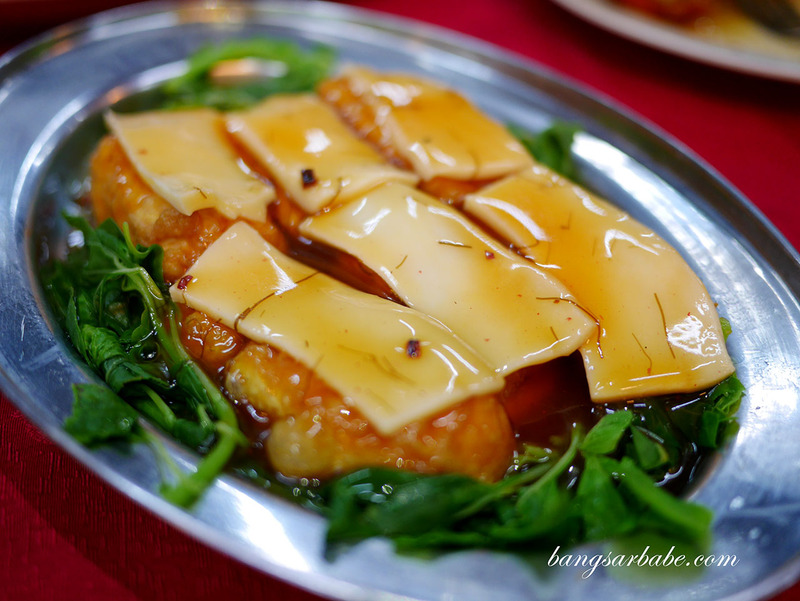 The beancurd was firm yet creamy at the centre, with a rich flavour from the egg yolk used. On my second visit, I had the same beancurd cooked slightly differently. 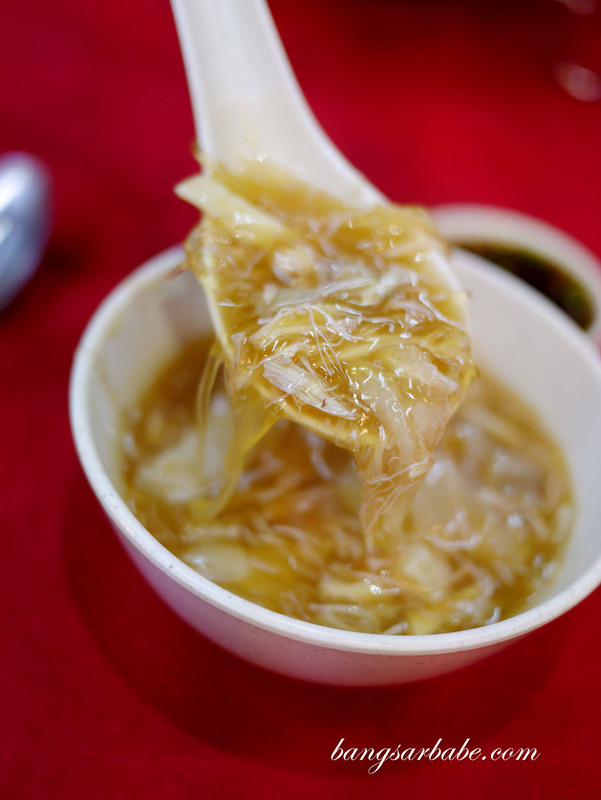 The latter came topped with minced pork, instead of abalone slices. Also tasty. 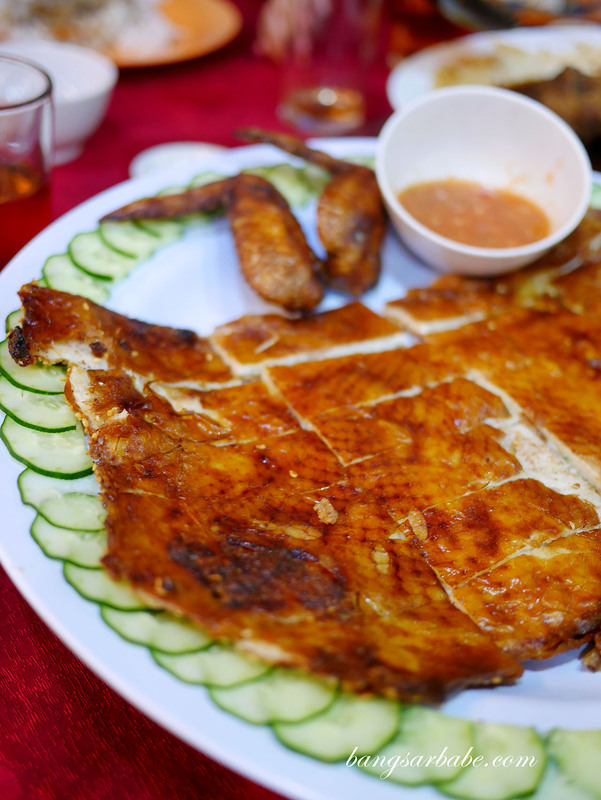 The crispy roasted chicken with fish paste is worth checking out at Wan Jia Restaurant. This was done well where the skin was crisp and well-seasoned, and the fish paste had a good bite. You’ll need to order this is advance as they need time to prepare. 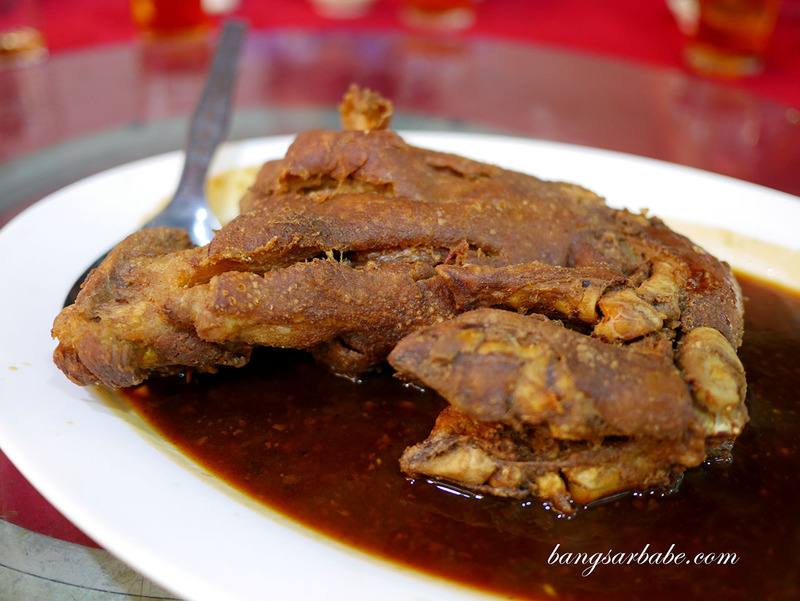 Don’t bother with the pork knuckle here – I found the meat too dry and the sauce, flat tasting. There wasn’t much going on in this dish unlike the many pork knuckle dishes I’ve tasted, unfortunately. 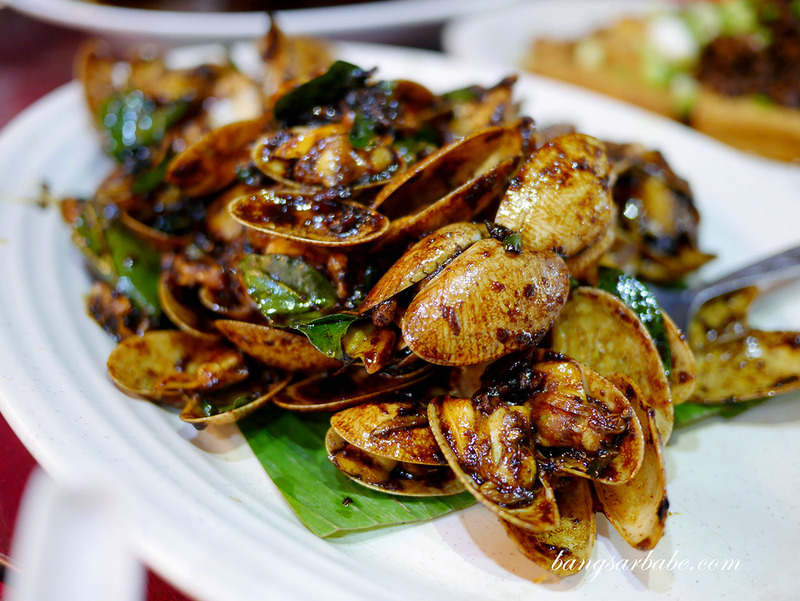 The kam heong lala had a good balance of flavour (spicy, savoury and sweet) with plenty of aroma from the curry leaves, but the lala was on the small side. 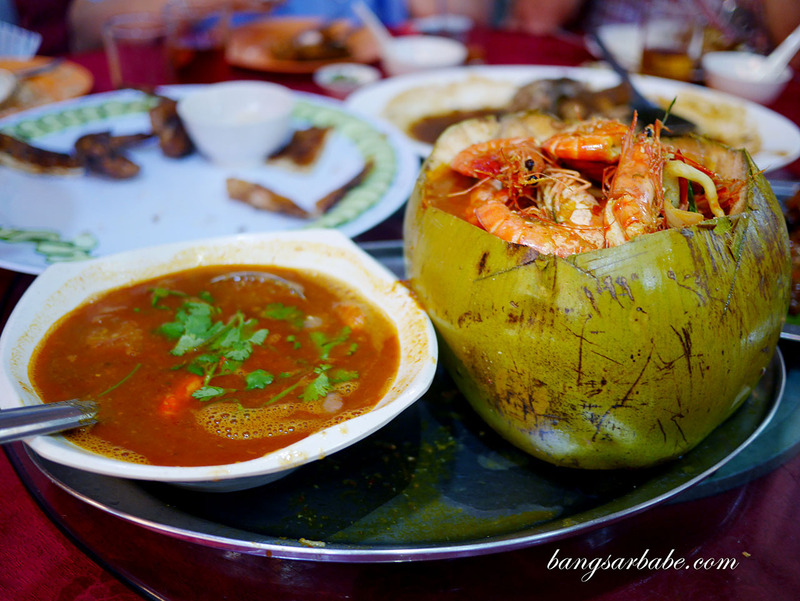 The prawns were fresh and fairly large, and portion was generous. I reckon I ate more than 10 prawns on my own, with more than enough for the others. 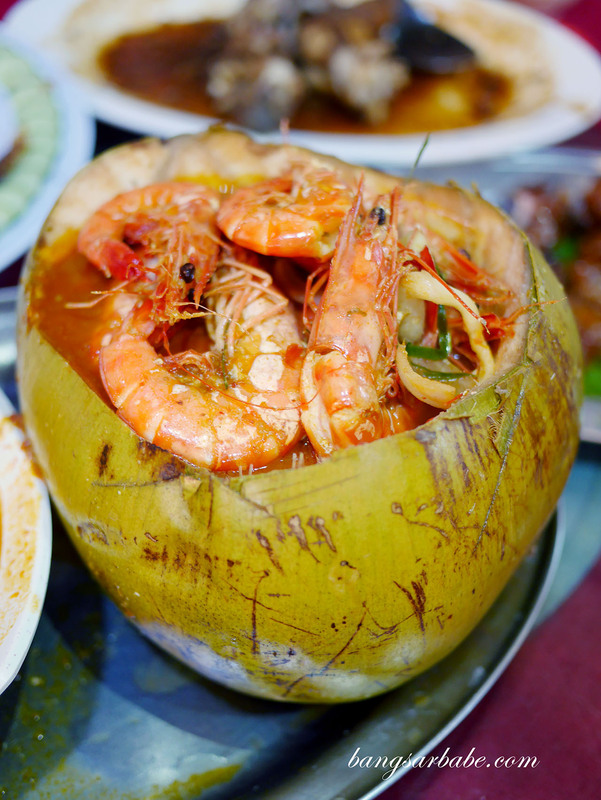 That said, it was a mediocre “tomyam prawns” dish. 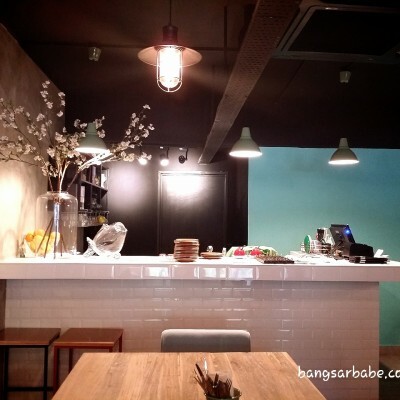 Depending on what you order, dinner ranges between RM40 – RM80 per head. Given the portion and food quality, I find Wan Jia reasonable. 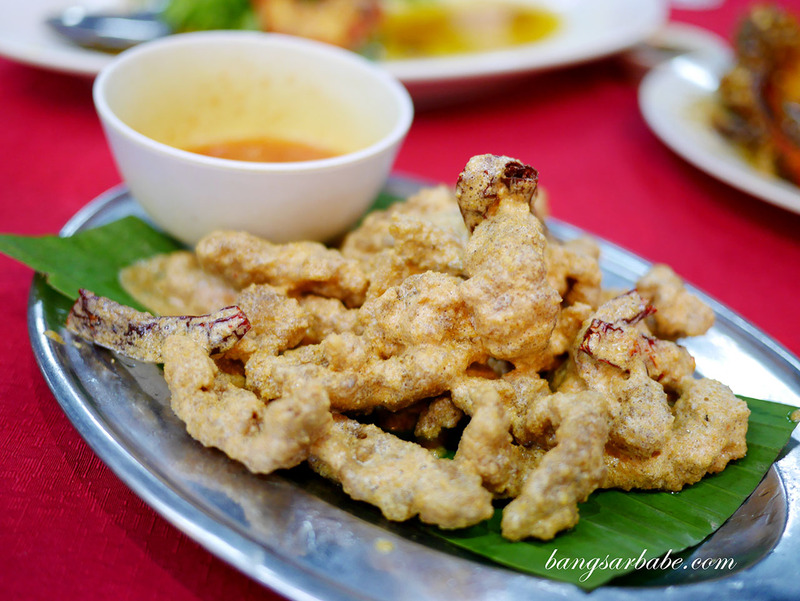 Verdict: Try the crispy chicken, homemade beancurd and house special pork ribs.